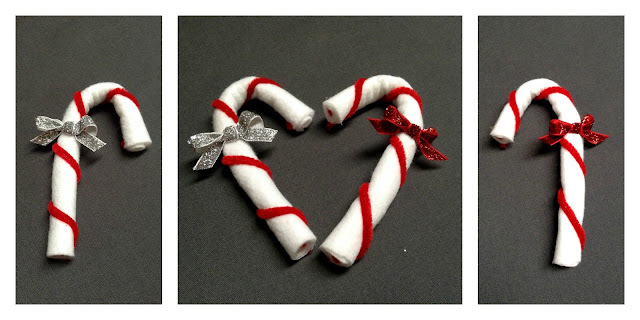 Are you enjoying our Christmas Crafternoon posts? Join us all month as we share how to make our favorite handmade ornaments. They are all easy enough to make in an afternoon of crafting, a.k.a Christmas Crafternoon. Today we have candy canes. Red and white striped candy canes always make me think about Christmas. We always hang candy canes on the Christmas tree, sometimes they are real and sometimes not. For the past several years we have had these lovely felt candy cane ornaments on the tree. My mom made them and I think they are just so cute. Do you know who's Christmas Tree they would look great on? YOURS! These are so quick, easy and inexpensive to make. 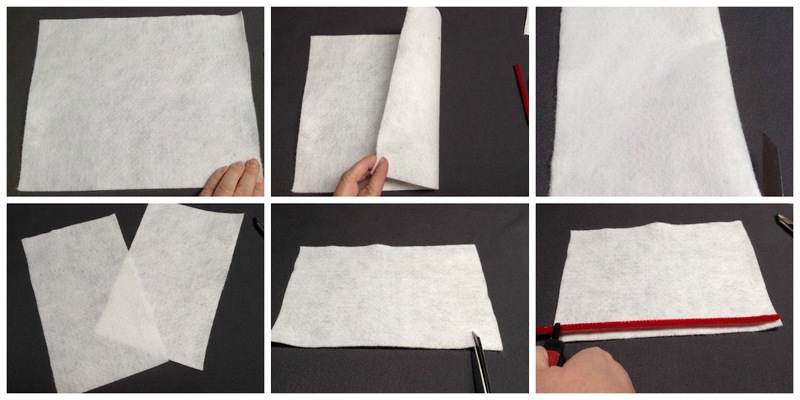 Fold your sheet of felt in half, matching the short sides together. then cut along the folded edge to make two 9x6 inch pieces. Then, cut 1 inch off to make your piece 8x6. Next, using your wire cutters, cut 1 pipe cleaner to be the match the length of the long side of the rectangle. glue to adhere it to the felt. Roll the felt tightly around the pipe cleaner. When you get to the end, run another bead of glue along the edge and then press against the felt to secure the edge and complete the roll. 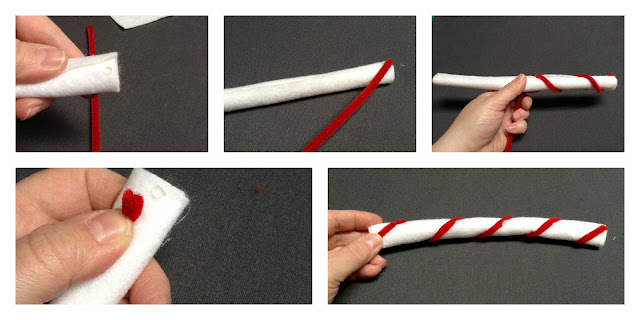 Put a dot of glue on the edge of the felt roll and press the end of a pipe cleaner into it. Wind the pipe cleaner snugly around the felt roll. 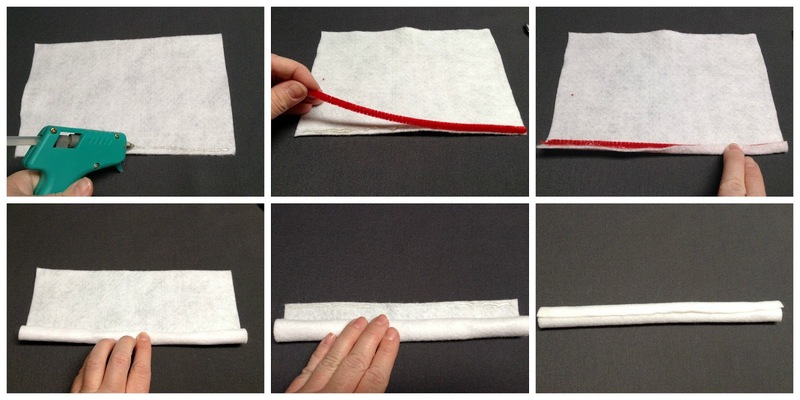 Secure the end of the pipe cleaner to the edge of the felt roll with a dot of glue. Bend to make a Candy Cane shape and voila! You are done! Wasn't that so fast? Add a bow to finish it off, and then go make another one! These will look great on a tree - they don't even need a hanger, you just hook them on! Now, go make a few more!